If you’re a borrower seeking a loan, you will still be able to create a new loan listing, which we will endeavor to fulfill through alternative sources. 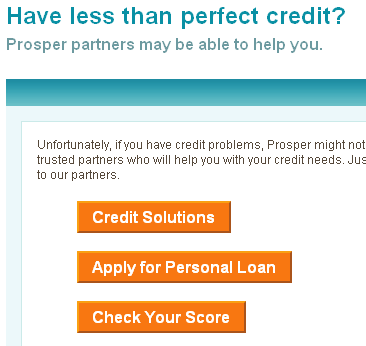 The way this works is that Prosper refers loan applicants to other lending companies. After answering a few questions, borrowers seeking a loan a channeled to Firstagain, Lendingtree, Freedomfinancialnetwork or Creditkarma (and potentially others – the mentioned ones are the ones I was shown). Should a borrower use the services of one of the linked companies then Prosper is paid a referral fee. However apparently not all visitors of the site seem to be redirected. Potentially members or former users with cookies are not shown these options. It will be interesting to see how many borrowers are willing to opt in to the insurance. Lenders profit because this lowers the default risk. 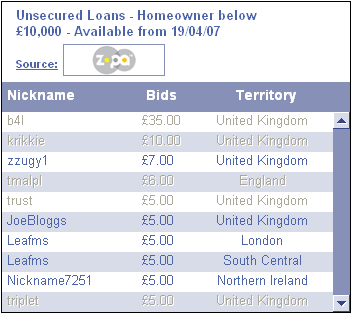 Unfortunately at the moment lenders can not on a borrower's loan listing whether the borrower selected insurance or not. 11 months after launch defaults at Smava are still rare. 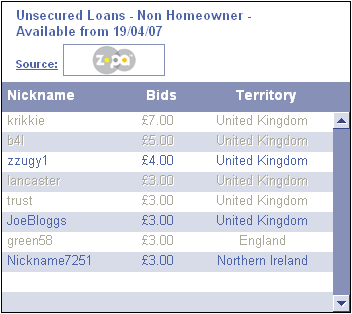 Only 3 of 368 loans have defaulted and only 2 are currently late. A chart shows the development of the Smava interest rates since start. 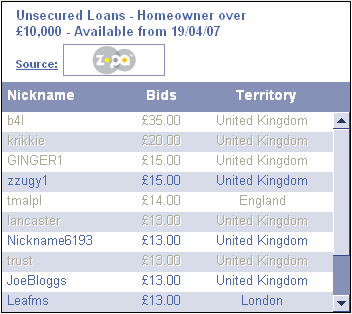 As the screenshots below (taken today) show, the leads are selling for prices of up to 35 pounds.